Toddlers, especially boys, can be somewhat picky when it comes to gifts. 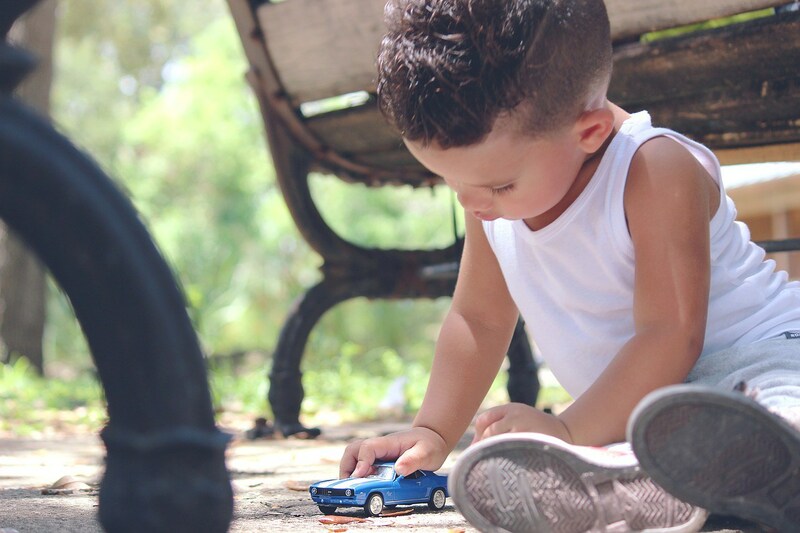 Finding an excellent gift for a little boy can be a challenge if you don’t know what they are drawn to and what kind of toys they like to play with. Indeed, you can never go wrong with some cute toddler costumes. However, if you need extra help, you can always rely on our list of suggestions showcased in the following lines. This inspirational art case is an excellent present for any kid because it features everything they need to release their inner creativity. The set contains 64 crayons, 20 short colored pencils, 40 washable markers, and five sheets of paper. Thanks to the snap-fit trays, all drawings and crayons stay in place, and every piece of art is organized. Also, the art case is manufactured from durable materials and can be carried anywhere because of the solid handles. This item is suitable for children starting at the age of four. Inside the set, kids will find tons of colors as well as 20 short pencils that can be used for creating shades. It’s not easy helping a child understand that video games are not the only toys in the world. This piece right here could make for a top notch toy because it’s a full premium set that features 101 building elements. If you need to get some amazing Christmas toys and you don’t want to buy something boring you should know that this toy is based on the STEM teaching system. This is based on learning fun things related to Science, Technology, Engineering, and Math. The product is safe to use for children older than three years. The 101 building pieces are stored in a colorful carrying case. This ingenious toy will keep your child focused and entertained because it has bright colors and interesting cars that compete on a race track. The game helps children improve their coordination skills and understand how to link two different objects together. Moreover, the game comes with four colored cars and a wooden racetrack. The ramps are slightly curved at the end which allows the vehicles to roll down and over continuously up until one reaches the finish line. Kids that play with this toy have the opportunity to learn about all sorts of shapes and develop their motor skills at the same time. The toy is made from sturdy Beechwood and is suitable for boys and girls starting with 18 months of age. It’s quite a hassle trying to find something that children can play with both indoors and outdoors, in the garden. This hammock swing is the ultimate solution because it can be easily installed inside your house or outside with minimum efforts. The hammock has a comfortable chair where children can sit, read, watch TV, or listen to their favorite tunes. The product comes with all the necessary equipment. If you want to make room, you can always take it down and store it away. Since the swing supports up to 170 pounds, it can be used by children starting with the age of two. It’s a known fact that kids like to play with things that don’t allow them to get bored. This fun collage board is what young children need most. All that the kids have to do is to stick the animals on the board. Because the paper attaches right to the surface, there’s no need to use glue. This activity is entirely safe because kids don’t use scissors or other dangerous tools. The product features four sticky collage boards, 40 stickers, four sheets of colored tissue shreds, and an instruction manual. Furthermore, the tissue paper is pre-shredded so the children can stick it right on the animal cutout. Shopping for toys and gifts for a three-year-old boy is not the easiest task one can land these days. We live in a time where sometimes, the magical resourceful powers of the internet work against us, and this a perfect example of just that. Simply google cool toys and gifts for three year old boys, and you’ll be surprised by just how many results come your way. However, this is not the time to be taken aback, take a good breath of air because we are here to help you out. Gifts, as we all know it, are great to receive but not as fun to shop for, at least not for the most of us. Because we want to help you out, in the following buying guide we have put together just what you should know when buying in this category of products. We based our list on parents’ opinions, online reviews and product appropriateness, all of which are aspects you should definitely consider when purchasing gifts for toddlers. So, look below and see what a must is and what is a no-no when it comes to finding the coolest toddler gifts. First things first, make sure that you know your audience! I know that trying to put your finger on what a toddler might like sounds a bit beyond the bounds of possibility but, try to remember if the birthday boy has some favorite toys or TV characters. This way, you can narrow down your search to find the best gift for sale. Just buy him a toy version of his favorite hero, and he is bound to be beyond happy. However, if the odds are stacked against you, and you just can’t tell what he likes, you’ll have to broaden your search to more general toys and select an item that you believe appropriate. Below you can find the guiding lines of what you should base your search on. Keep on reading and select what you consider to be the greatest gift for a three-year-old boy. One of the first aspects you should pay attention to is just how difficult the game you think would suit the baby is. In any case, stay away from any toys that are categorized as 3+ as they are most likely unsuitable for the small ones. As an alternative, you could look for simple puzzles that are colorful and easy to solve; a plain picture of a nice blue car should work just fine. As a result, the baby will enjoy his gift while still learning about putting together different pieces of the same picture. However, something that is simply too easy might just not cut it. Because toddlers are constantly interested in finding out new things, something that is already known to them might be seen as just too boring. So, decide on baby gifts that are in between, something that is easy enough for them to put together by themselves, but not too difficult for them to give up while doing so. No matter the source, any best gifts for toddlers reviews section is likely to draw your attention to the fact that safety should be a priority when looking for a gift for young aged children. Because they are still learning about what is safe and what is not, it is better to purchase a toy that cannot pose a danger to the small ones. Therefore, avoid any products that can be easily swallowed and/or used as a `weapon` in times of `wars` on the playground. To make sure that your choice is safe enough, make sure you check the information provided by the manufacturer. By doing so, you can rest assured that your gift is appropriate. Although some gifts are clearly going to be a hit with the small ones, you should necessarily base your purchase on what the baby’s parents consider suitable and what not. In this regard, take a moment to consider if the baby has enough space to use the gift or if he doesn’t. So, don’t buy a ball or a bicycle unless you are sure that the parents are ok with the baby playing with it indoors. It would be a great idea to talk to them before making your purchase so that you won’t put them in a difficult situation. To make it even easier for you, why don’t you just ask them if they have any preferences when it comes to gifts? This way, you will be sure that your present will be liked by both parents and child. If you want to offer a gift that stands out, you might want to consider settling for a toy that could be labeled as fun. So, what sounds better than a comics cartoon costume that that small bundle of joy can wear on the playground? This way, he can be Batman or Superman every day, not just on Halloween! 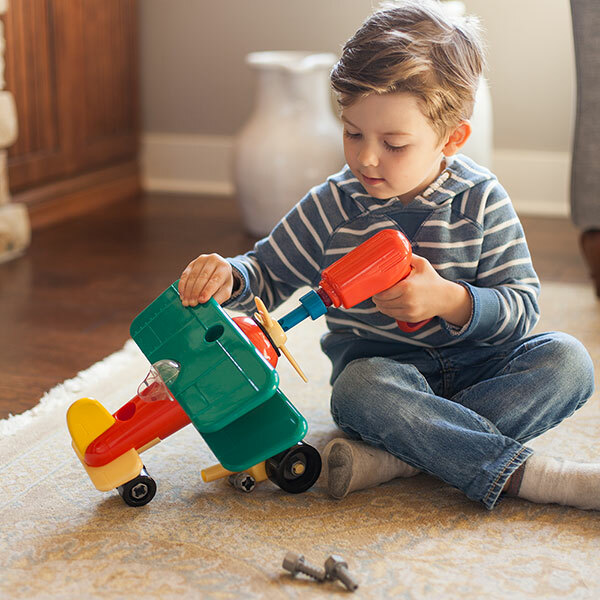 Another equally fun gift is a playing set that encourages him to build different objects such as cars or helicopters. More than just entertaining, this type of toy is also educational, as it is meant to help the toddler develop certain skills such as their ability to put things together and understand basic STEM concepts (that is, science, technology, engineering, and mathematics notions). Likewise, Lego sets are said to introduce him into the world of STEM notions as well. However, make sure that the Lego set you end up buying is age appropriate, as the common sets usually have small Lego pieces that are said to be dangerous for the 3 year olds. Nevertheless, this shouldn’t be a problem as you can surely find products of this type that have been specially designed for young children.